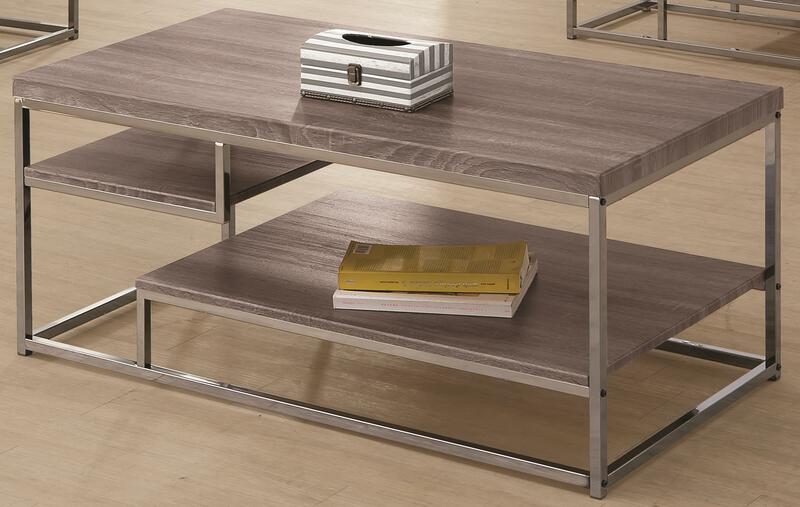 Combine contemporary and rustic styles with this coffee table. This piece features one lower shelf and one smaller shelf toward the upper left side. It includes a weathered-finished wood top and metal frame. 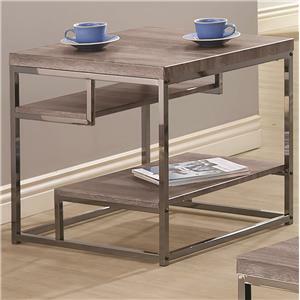 The 7037 2 Shelf Coffee Table with Wood Top and Chrome Frame by Coaster at Value City Furniture in the New Jersey, NJ, Staten Island, Hoboken area. Product availability may vary. Contact us for the most current availability on this product. 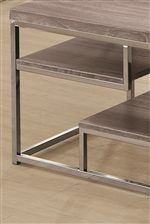 The 7037 collection is a great option if you are looking for Contemporary furniture in the New Jersey, NJ, Staten Island, Hoboken area. 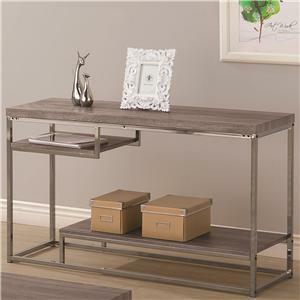 Browse other items in the 7037 collection from Value City Furniture in the New Jersey, NJ, Staten Island, Hoboken area.